Auburn police said a woman broke into an apartment Thursday and slashed a 13-year-old with a box cutter. Auburn Police Department Deputy Chief Roger Anthony said that around 3:30 p.m., Lora M. Lupien, 32, of 10 Chestnut St., entered a residence on Derby Avenue and began swinging a metal bat. The occupants of the residence managed to take the bat away from her, and the argument between Lupien and the occupants spilled out onto the street. Eventually, Lupien walked away and started going down another street when she was confronted by a 13-year-old boy, Anthony said, and cut one of the child's arms with a box cutter. Anthony said the boy was treated at Auburn Community Hospital for a 4-inch cut that required 13 stitches. Lupien was charged with first-degree burglary, second-degree assault, second-degree reckless endangerment, two counts of third-degree criminal possession of a weapon, and endangering the welfare of a child. 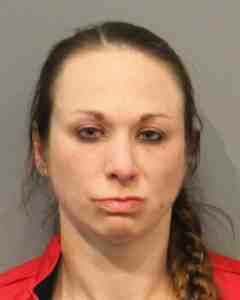 She was arraigned at Auburn City Court Friday and remanded to the Cayuga County Jail in lieu of $10,000 cash or $20,000 bond bail. Her next day in court is April 16. HIT: To the many Easter-related family events available in the Cayuga County area.